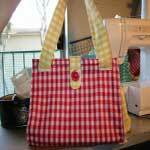 Making a purse is an easy sewing project. 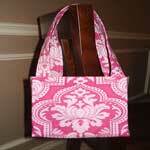 Customize a purse pattern by making it the exact size you need and embellish it with everything you find cute. 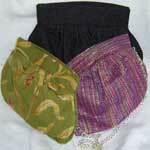 Sew a small purse from fabric scraps, or buy some really cool fabric to go with your jeans and make a larger purse. 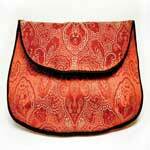 If you have a formal event coming up, sewing a purse to match your outfit would be a great way to save money. Add an external pocket for your cell phone, an inside flat pocket for your debit card and larger inside pockets for the rest of your necessities. 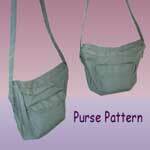 Use this pattern to sew your own purse. Add your own ideas to it to make it unique. 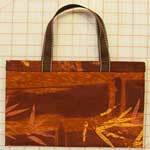 Make a very useful and sturdy purse with these instructions. Decorate it however you would like. This is an easy and fun project. 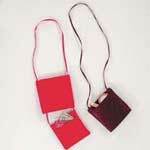 Make these purses as simple or as elegant as you'd like. This small bag is just the right size for your essentials. It also has a secret compartment to keep your things safe. 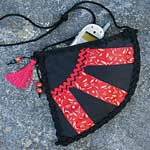 This is a unique bag you can make for yourself. Its fun shape will have everyone talking. Here's a clutch pattern you can make to match any of your outfits. 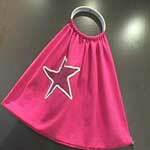 This small project is perfect to practice your embellishment skills on. 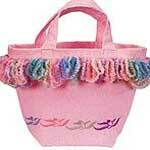 This is an adorable yet simple purse. It has a side cell phone pocket and two more pockets inside. 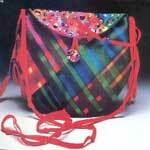 This is a handbag you can make very colorful and full of design. Add the sequins to make it sparkle. This is a beautiful one that you can make yourself with these easy directions. 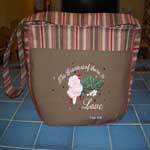 A fun way to show off your style is to make your own bag. This is a simple design that you can make your own. 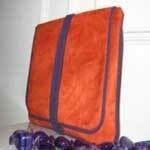 This is a very trendy purse which you can make look however you would like by choosing your own fabric. A fun project to try. 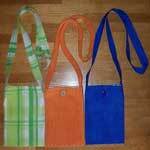 This is a simple purse that you can make yourself in no time. Choose your own fabric to make it unique. 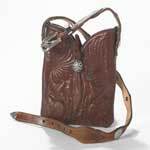 Use an old pair of boots to make your own western style purse. 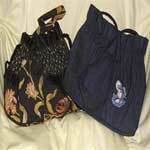 This bag is a great size for day or night and has multiple pockets to hold your things. 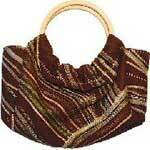 This purse is large enough to hold everything you need but isn't too large as to be hard to carry. Why settle for a bag that doesn't match your outfit? Sew your own and have it look however you want. Use an old or new T-shirt to create this one of a kind craft.